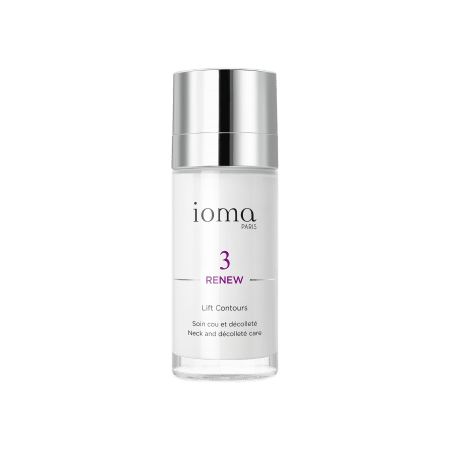 At INTUISKIN, owner of the IOMA brand, we respect your concerns about privacy and value the relationship that we have with you. Like many companies, we use technology on our website to collect information that helps us enhance your experience and our products and services. The cookies that we use at INTUISKIN allow our website to work and help us to understand what information and advertising is most useful to visitors. 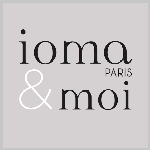 Please take a moment to familiarise yourself with our cookie practices and let us know if you have any questions by sending us an email customerservice@ioma-paris.com. We have tried to keep this Notice as simple as possible, but if you’re not familiar with terms, such as cookies, IP addresses, and browsers, then read about these key terms first here. Any personal data provided to or collected by INTUISKIN is controlled by INTUISKIN, INTUISKIN SAS Parc Activillage des Fontaines – ZI Bernin – 38926 Bernin – FRANCE (the data controller). This Cookie Notice applies to any websites, apps, branded pages on third-party platforms (such as Facebook or YouTube), and applications accessed or used through such websites or third-party platforms (hereinafter, “our websites”) which are operated by or on behalf of INTUISKIN. References to “INTUISKIN” in this Notice means INTUISKIN and any company directly or indirectly owned and/or controlled by them that you are interacting with or have a business relationship with..
INTUISKIN will only collect, use or disclose your personal data where it is fair and lawful to do so. For a more detailed understanding of how we use personal data collected by INTUISKIN cookies, please refer to our Privacy Notice. There are many types of cookies. They all work in the same way, but have minor differences. For a detailed list of cookies used on our websites, please refer to the below relevant section here. The cookies you consent to, are also used to collect your personal data which we then profile into audiences so that we can deliver targeted advertising tailored to your interests and limit the number of times you see an advertisement. For more detailed information about the profiling activities INTUISKIN undertakes with your personal data for advertising, please see our Privacy Notice. More detailed information about the types of cookies we use and for what purposes, can be found in the below relevant section here. You can use our cookie management tool to disable INTUISKIN or third-party cookies (see how here). If you disable the cookies that we use, this may impact your experience while on the INTUISKIN website, for example you may not be able to visit certain areas of a website or you may not receive personalized information when you visit a website. You can disable INTUISKIN or third-party cookies by use of our cookie consent tool which can be found here. Switching off tracking cookies, for example, ensures that INTUISKIN will no longer track your online behaviour. However please note that opting-out from tracking cookies does not necessarily mean that you will receive less INTUISKIN advertising. It just means that the advertising you receive will not be tailored to your interests. Necessary Cookies. These cookies are essential to make INTUISKIN websites work correctly, they enable you to move around our websites and use our features. Without these cookies, services like shopping baskets cannot be provided. Examples include remembering previous actions (e.g. entered text) when navigating back to a page in the same session. Targeting or Advertising Cookies. These cookies are used to deliver content that is more relevant to you and your interests. They are also used to deliver targeted advertising or limit the number of times you see an advertisement as well as help measure the effectiveness of the advertising campaigns on INTUISKIN and non-INTUISKIN websites. They remember that you have visited one of our websites and this information is shared with other parties, including advertisers and our agencies. These cookies may also be linked to site functionality provided by third-parties. Third-Party Cookies. We use a number of partners that may also set cookies on your device on our behalf when you visit our websites to allow them to deliver tailored INTUISKIN advertising within their domains, for example Facebook and Google DoubleClick. We endeavour to identify these cookies before they are used so that you can decide whether you wish to accept them or not. We also use a number of partners to provide digital experiences and functionalities on our websites. For example, while browsing INTUISKIN websites you may be served cookies from third-parties who provide some of its features on our websites (e.g., a YouTube video), although you have withdrawn or declined your consent to our cookies. This happens because you have directly given your consent to the use of their cookies. In such cases, you should directly withdraw your consent on the relevant third-party website.